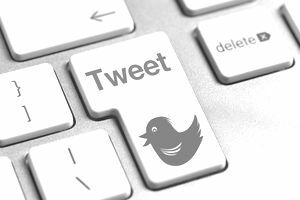 Twitter: A Valuable Marketing Tool? There's been a debate taking place for some time, from Fortune 100 boardrooms to solo practitioner home offices, about Twitter and whether its social media platform qualifies as a legitimate marketing tool or something that belongs in the hands of people who like to tweet the latest celeb gossip for fun. Twitter says 1.6 billion unique visitors per month see tweets on third-party properties, which corresponds to 500 million tweets per day and around 200 billion tweets per year. With that kind of reach, it's safe to think of Twitter as a realistic and useful way to build your business and get instant public messages delivered to the hands of your target audience, whether it is an audience of work colleagues, existing customers or potential customers. The question is, how can you use Twitter as an effective marketing tool? Whether you are engaged on Twitter or not, someone may be tweeting about you, your company, your team, or your industry. Twitter provides a search engine that allows you to enter company names, brand names, topics, and personal names. As a sheer educational platform, you should be aware of any negative (or positive) comments out there about you or your firm. If you're serious about your business, check-in to Twitter on a regular basis. Another important research area is your competitor's audience. You can use an app such as Twitonomy to enter a user's name and view detailed information about them, their tweets and their followers. Your competitor's audience might be full of new, relevant followers for you to connect with. In case you haven't retained a big PR firm, you can use Twitter to post news or updates about your company or products. However, don't do this before you become familiar with Twitter's format and etiquette. One rule of thumb is to never post anything negative. The other rule of thumb (to avoid posting anything negative) is to never post when you're angry. Visit the twitter feeds of your competition before taking the plunge so you're well-versed in what people are posting. You'll notice that certain people (those who serve as the "voice" for their business) share not just information about themselves and their company, but links to other videos and relevant news stories. For example, if you earn a living as a leadership consultant, you don't have to write a story or press release on leadership, you can post a link to a recent leadership story on entrepreneur.com. Twitter is a very useful tool in giving your brand a voice and a personality. If you follow the Twitter feed of Suzy Welch (author, news correspondent, and wife of Jack Welch) you'll see that her tweets are friendly, upbeat, personal, and often have photos of Suzy hanging out in her kitchen. This is not to diminish the quality and importance of the messages she delivers to her audience, she just puts forth her unique and engaging personality. Being likable online makes all the difference and can increase your Twitter following and help you grow your business. People want to be informed but they don't want to read ten magazines and watch ten news shows to get the information they need. So, be sure you provide your followers with value-added material, whether it's sharing news articles, delivering bite-size nuggets of advice, or links to videos. As you collect larger numbers of followers, tailor your marketing campaigns and related tweets to this group. These people chose to follow your Twitter business account, so they're practically already qualified leads for you to appeal to. And remember, Twitter is about information, conversation, and customer service. It's about talking to your prospects and consumers and interacting with them. Be sure to stay involved with your audience and reply to their messages as often as possible.